Homecrest Cabinet Reviews 2018 - "Making Cabinets More Accessible!" 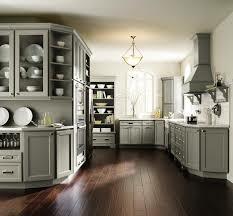 Homecrest cabinetry is designed to fit in perfectly to your life. The range of furniture, styles and features are all offered to make your life easier and let you make the most of your home. In this Homecrest Cabinet Reviews guide we will talk about Homecrest Cabinetry's history, their values, what type of cabinets they manufacture, and their warranty information! Homecrest has a long history in the furniture business. Founded in 1969 and over the past 40 years have made a point of keeping one eye on the past and one on the future, thus incorporating modern trends with traditional craftsmanship. Nowadays Homecrest cabinets can be seen in homes across America and they work to bring innovation to the industry in the form of new features and styles. The Homecrest goal is to make cabinets that express your style and make your home your own. They strive to make your life easier, and more enjoyable, because like is too short to settle for less in your home. Their whole company is built of efficiency and simplicity to make the entire furniture selection process as easy as possible for the customer. Homecrest are a subsidiary of Masterbrand Inc. 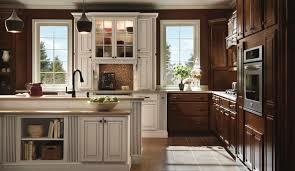 They have been operating since 1926 and have cemented themselves as one of the industries best cabinet makers. Masterbrand impose high standards on all of their subsidiaries and provide consistent quality in their products. Homecrest have a range of furniture that is bridging the gap between fashion and utility. They respect the craft and endeavour to bring the high standards into your home. Homecrest produce storage solutions and furniture for the whole home, including home offices, bedrooms, bathrooms and dining rooms. Their speciality is in their kitchen products, specifically their cabinets. Homecrest has a variety of different products available, all with their own unique customising options. Some of their specialist units include base oven cabinets, microwave cabinets and sink bases but their core collection has bene base units and wall fitted cabinetry. If you are looking for other cabinets along the same style and price range as Homecrest then I suggest you take a look at Timberlake cabinets and Brookhaven cabinets! Each of these gives a different look to your cabinet and if you’re not sure about which you prefer it’s best to go to your dealership and see samples. There are over 40 different types of door to choose from, ranging from light to dark with some of the more popular collections being Brenner and Heartland. Each of these has different woods, finishes and styling to give a unique look to your cabinet and kitchen. Each of these have been sourced from sustainable and reliable providers so you can be sure of the quality. 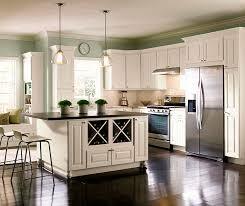 Hardwoods give a much higher quality of construction and provide greater longevity of life to your cabinets. Finally for your doors you can choose between a traditional overlay or a modified full overlay. For each door you can choose from 93 different finishes. From light to dark the choice varies all the way from natural to java and gives you the colouring you desire. The finishes are designed to let you customise the cabinet to make it more personal to your home, allowing it to match existing furnishings. Homecrest has some beautiful finishes that really allow you to find the right style and color for your home. After looking at a bunch of these finishes, I would say the quality is similar to the cabinet finishes of Fabuwood cabinets. Homecrest have a range of speciality doors and embellishments available. Choose from glass doors, aluminium frames and unique mouldings to customise your cabinet further. Different handles and knobs give a more rustic or modern feel and complete the look of the unit. Homecrest have a lot of different interiors to choose from. This will depend mostly on what you need the cabinet to do but whether you want multiple shelves, deep storage or something else you’re bound to find what you’re looking for. In this way Homecrest have made their cabinets as useful as possible, while keeping their fashionable look. Homecrest are all about the personal touch and letting you keep control of the design process. With woods, doors and finishes all selected by you you’ll find that rarely two finished products are alike. 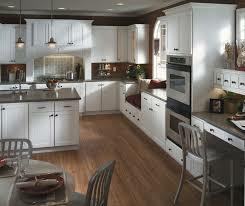 Homecrest even allow for custom cabinets at a much lower price than some of the high end cabinet makers. These are the standard measurements but there is usually a choice of different options for material and sizing. Hardwood options are always preferable because of their increased durability and better quality. “The quality is horrible! Warped cabinet door. Crooked drawer front. Lots of particle board, though we 'upgraded' to the plywood option.” - Brandon E.
Homecrest are a budget cabinet maker and while there are different ranges to choose from the quality will never compete with some of the more expensive brands. It’s always a good idea to upgrade the materials wherever possible so you get a better product, but it’s just as important to go and see your products in person before buying. That way you’ll know exactly what you’re getting and if you don’t get it you can go through the channels to get replacements. “My wife and I love our new kitchen. The soft close doors are drawers are a new thing for us. It makes for a far quieter morning when getting breakfast ready. 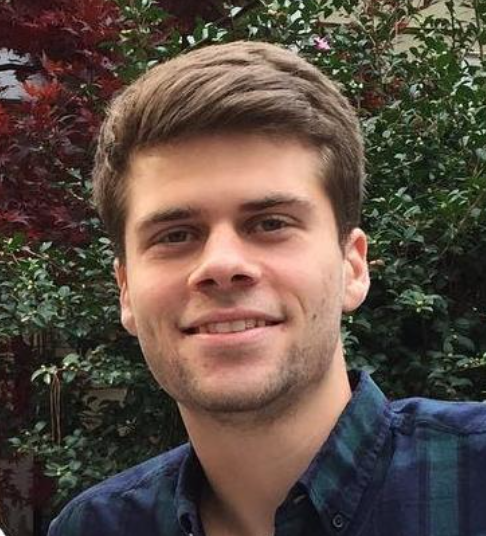 We love the natural finish as well.” - David E.
Despite not using the best materials or being the best made on the market Homecrest are providing value for homeowners with cost effective furniture that does what it’s supposed to do. I would say their prices are similar to Kemper cabinet prices, but I would argue that Homecrest's quality is a tad higher. Homecrest offer a lifetime warranty on their products. This protects them against any material or workmanship defects for as long as you own them, as long as you haven’t modified them in any way. It’s always worth checking with your dealer about your specific units so you know exactly what is covered and what isn’t, this lets you avoid nasty surprises down the line. 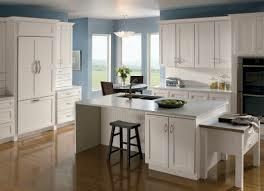 Homecrest furniture is not a custom cabinet maker like the high end cabinet makers produce. Instead they’ve created a budget alternative that gives a range of options to customise the units at a fraction of the price. Homecrest have done really well to provide so many different colours, woods and finishes that allow for the personal touch. With home furnishings you get what you pay for, and while Homecrest is good value it’s always a good idea to upgrade what you can. Homecrest will add value to your home, but won’t last as long as some of the higher end producers, but if they’re in your price range check them out today for some affordable cabinets.